Foshan Tai Hai Rubber And Plastic Co., Ltd.
Shenzhen Minuo Household Products Co., Ltd.
About the Product * Panda Silicone Baby Placemat : Great mat for kids, who are messy, and eat with their hands. Eco Friendly 100% Food Grade Silicone standard to ensure that no harm comes to your children. How to order Silicone Baby Food Placemats from Vivian 9 (1)Before you place the order. Creative design Foldable design, easy to carry Bright color, smooth surface. It won good reputation among its customers and never had any quality or delivery complaint in the past 16years. Contact us If you have any questions,please don't hesitate to contact us. We are located in Dongguan city,Guangdong province, China, with convenient transportation access. We sincerely invite you to visit our factory and expand business cooperation together. If you are interested in any of our products or would like to discuss a custom order, please feel free to contact us. Alibaba.com offers 34,949 bowl silicon products. About 18% of these are bowls, 4% are cups & saucers, and 1% are other rubber products. 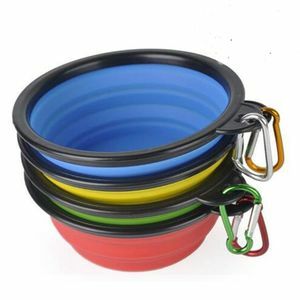 A wide variety of bowl silicon options are available to you, such as silicone, metal, and plastic. You can also choose from fda, ce / eu. As well as from free samples, paid samples. There are 34,917 bowl silicon suppliers, mainly located in Asia. The top supplying countries are China (Mainland), India, and Hong Kong, which supply 98%, 1%, and 1% of bowl silicon respectively. Bowl silicon products are most popular in North America, Western Europe, and South America. You can ensure product safety by selecting from certified suppliers, including 8,539 with ISO9001, 3,574 with Other, and 2,552 with BSCI certification.